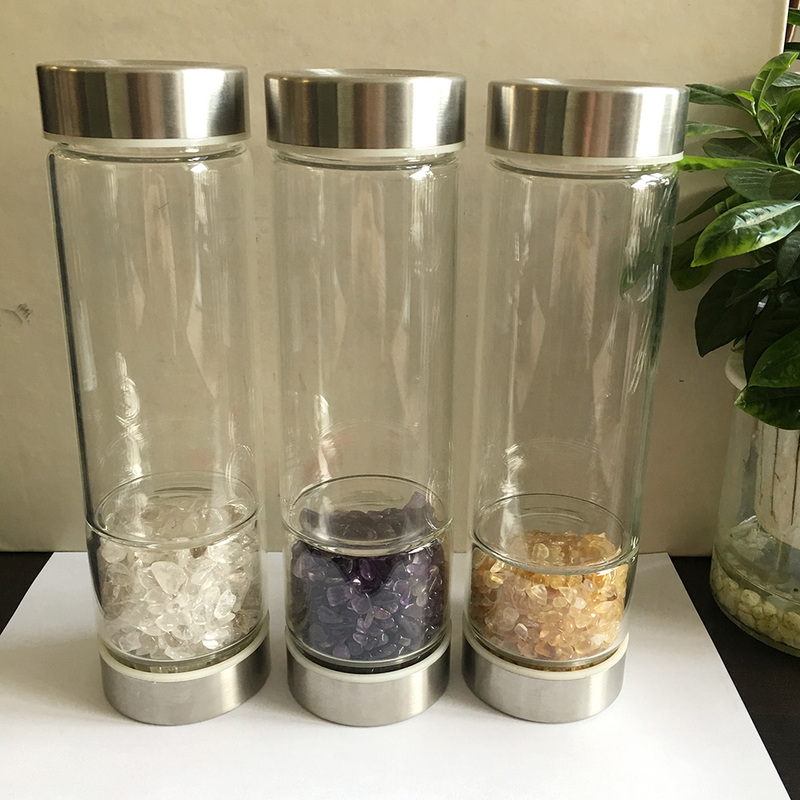 Elixir crystals have been used since ancient times for their powerful energetic healing properties. 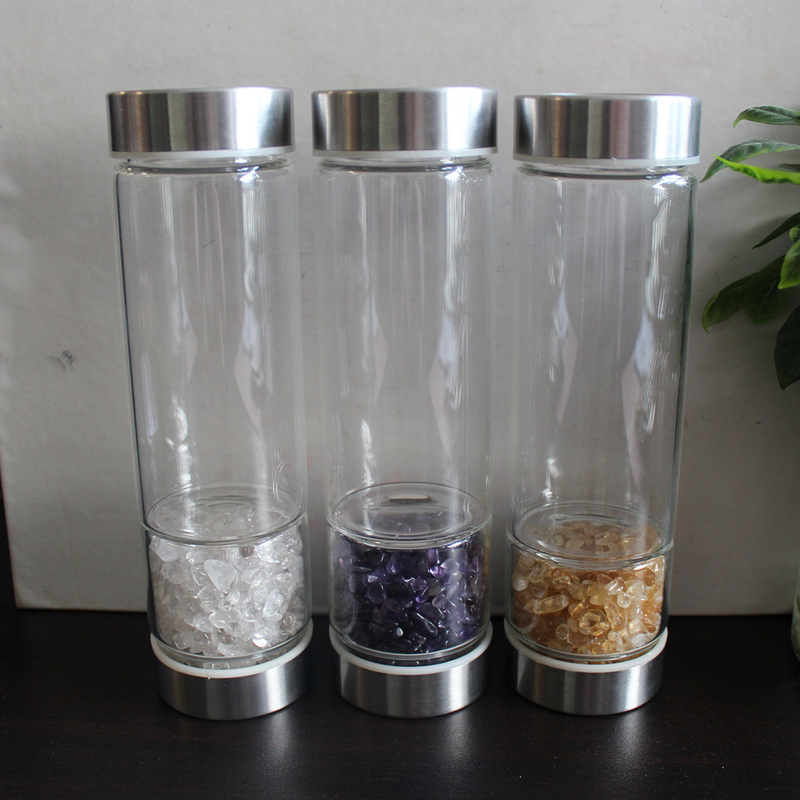 Crystals can help cure deep-seated problems, bring good health and more happiness. 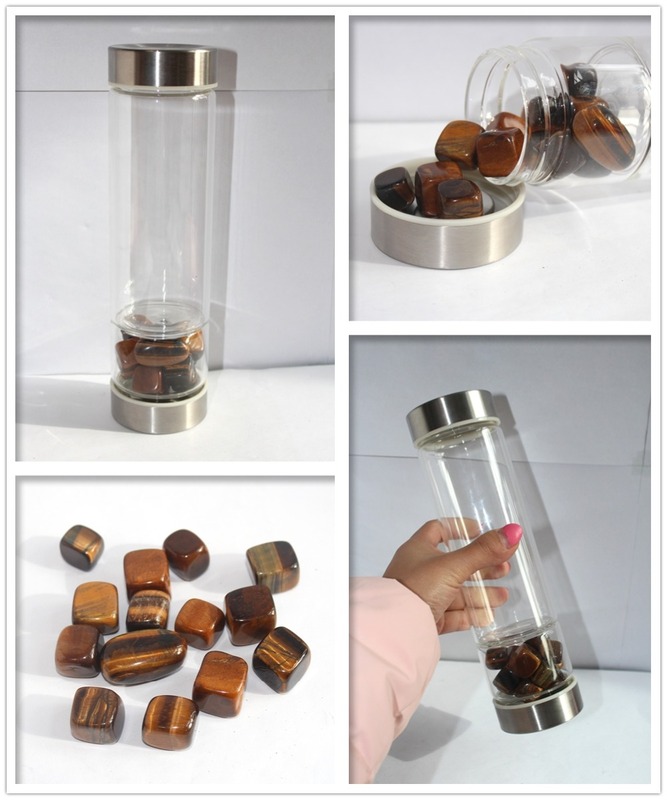 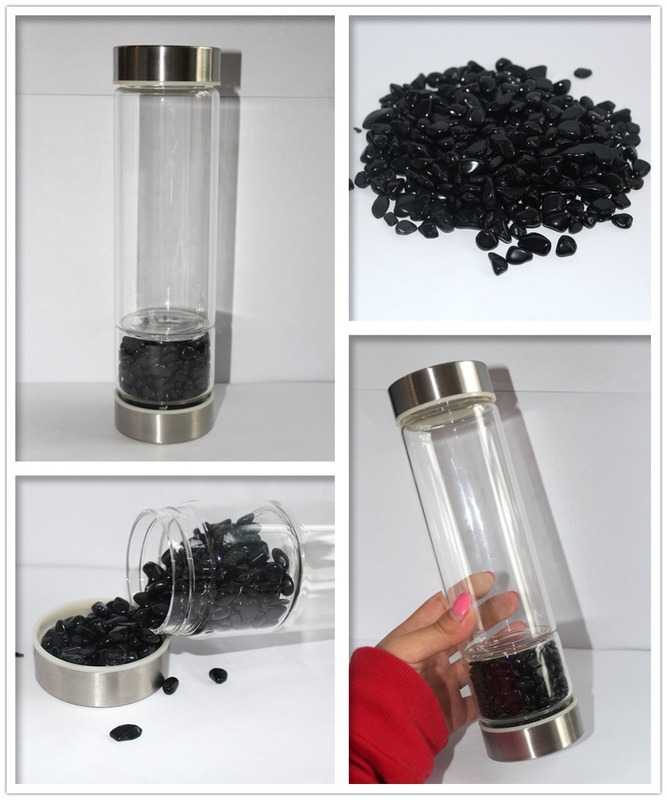 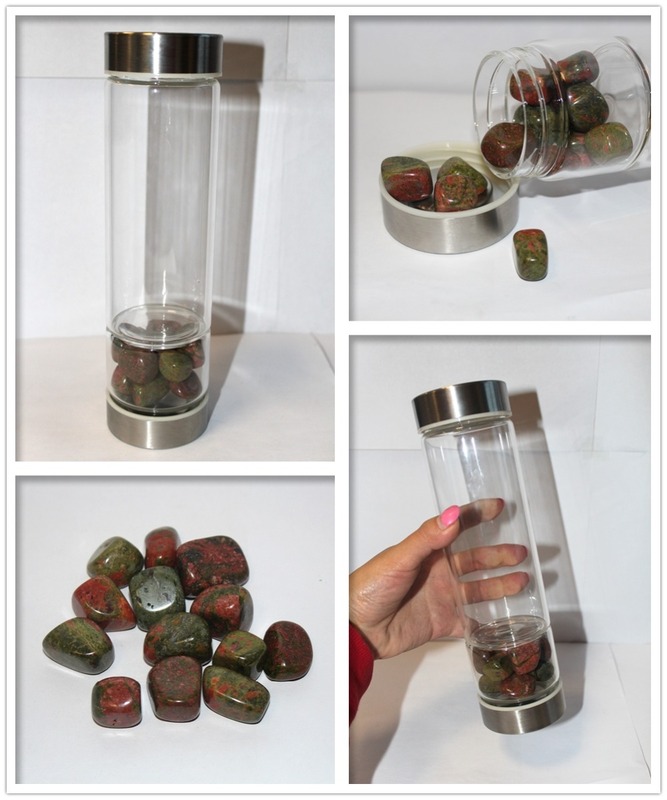 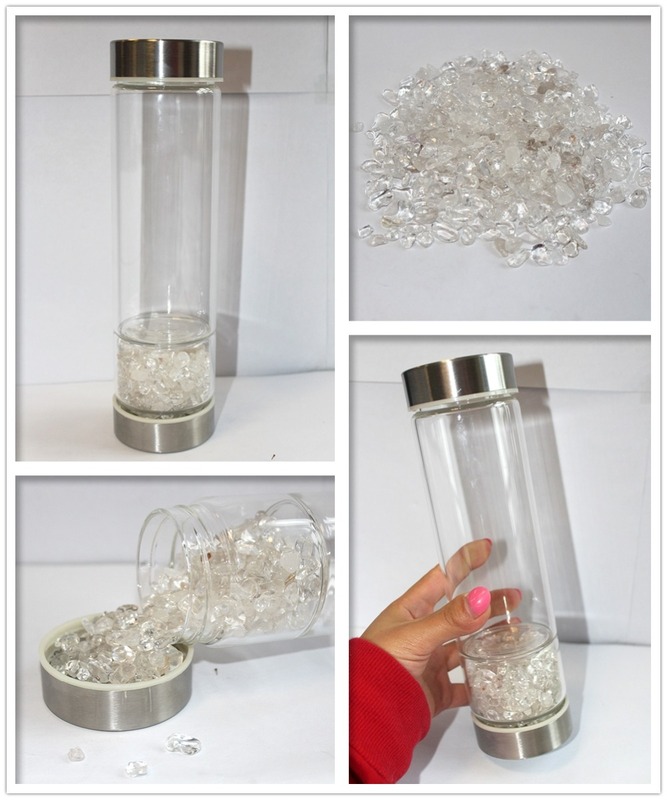 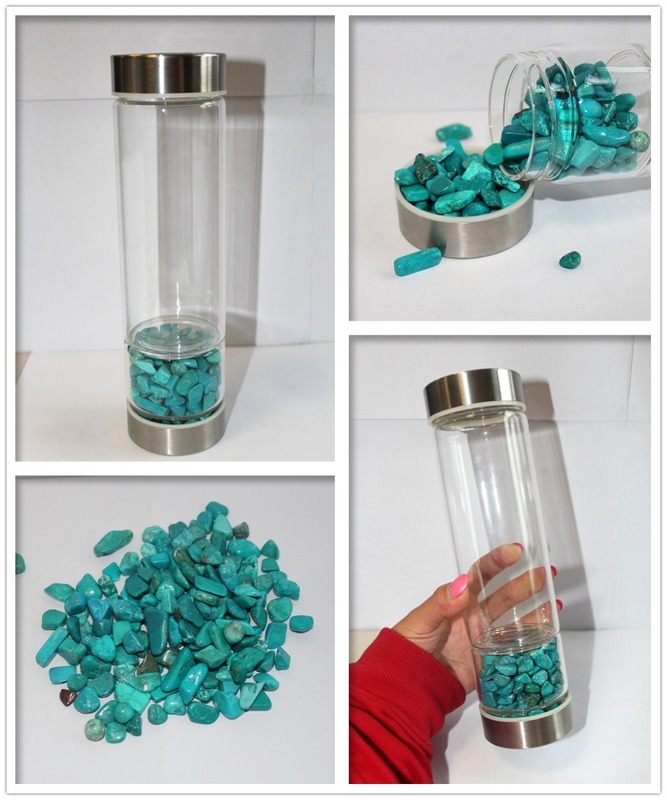 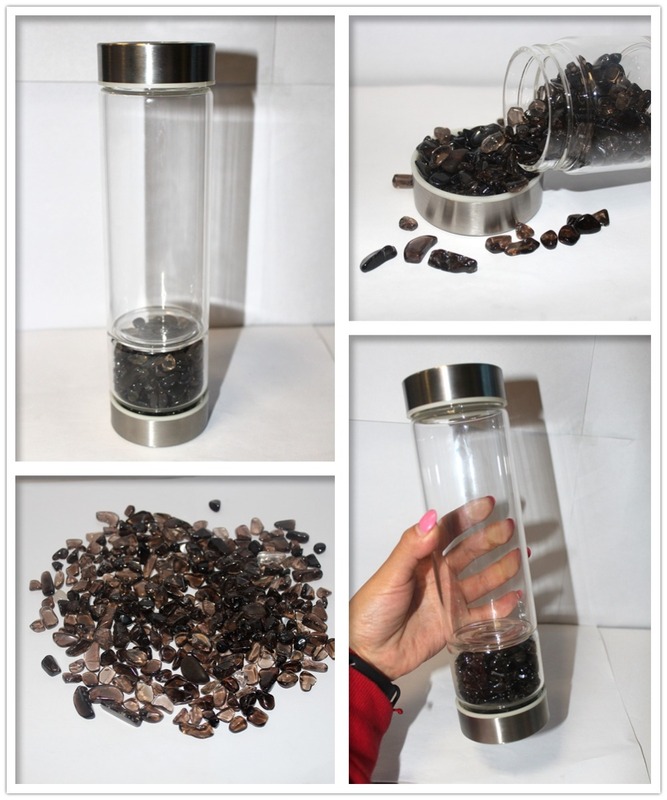 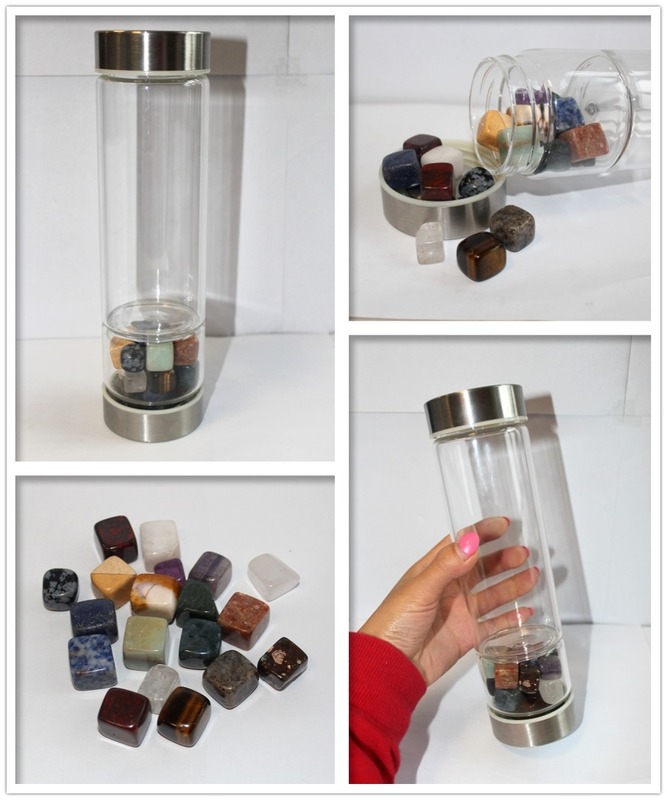 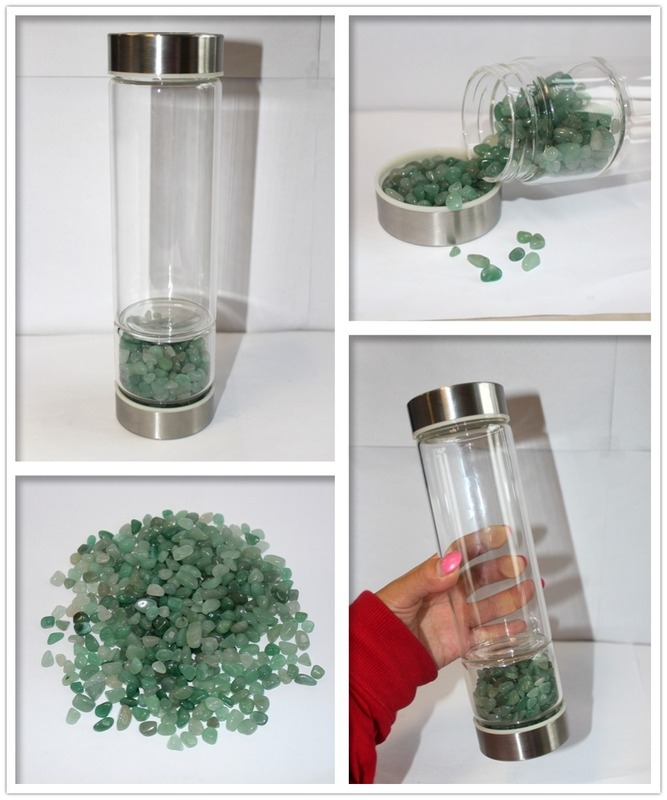 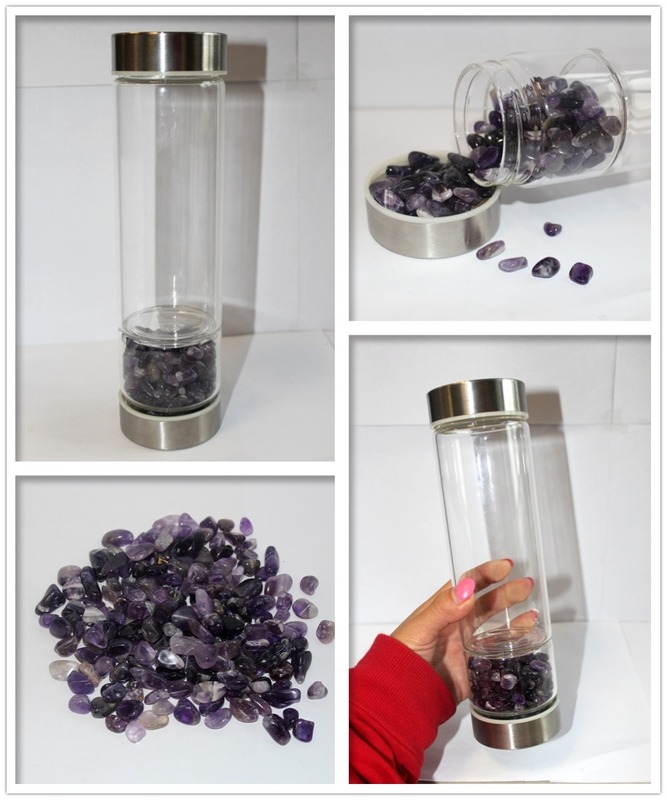 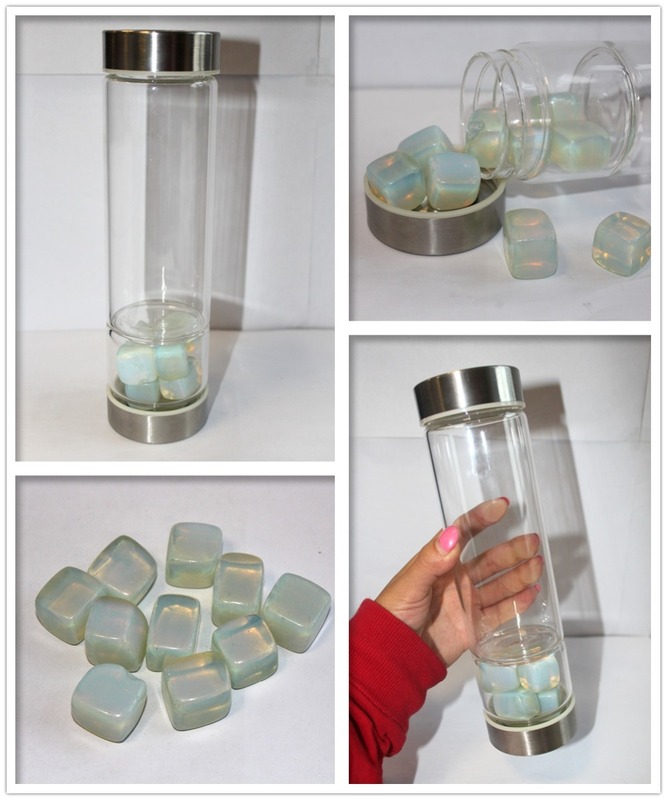 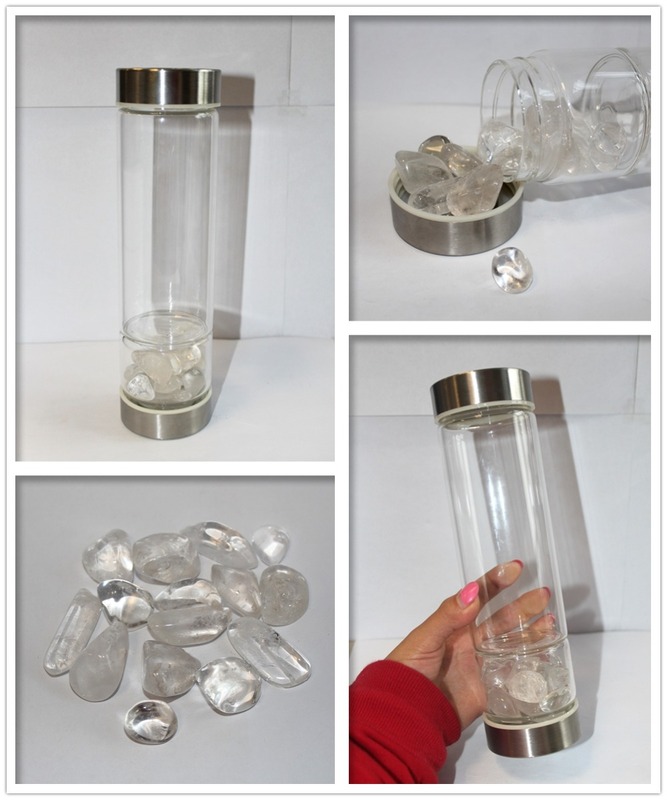 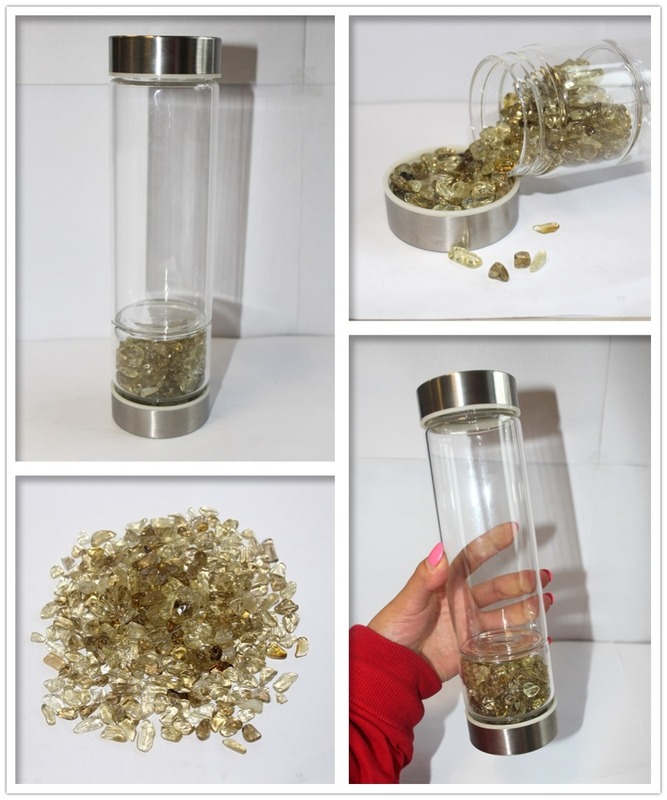 USE ANY GEMSTONES YOU LIKE, not just the few that can safely touch water ¨C The gemstones chamber is separated from the water by a glass wall, so never worry about stones leaching toxins into your water. 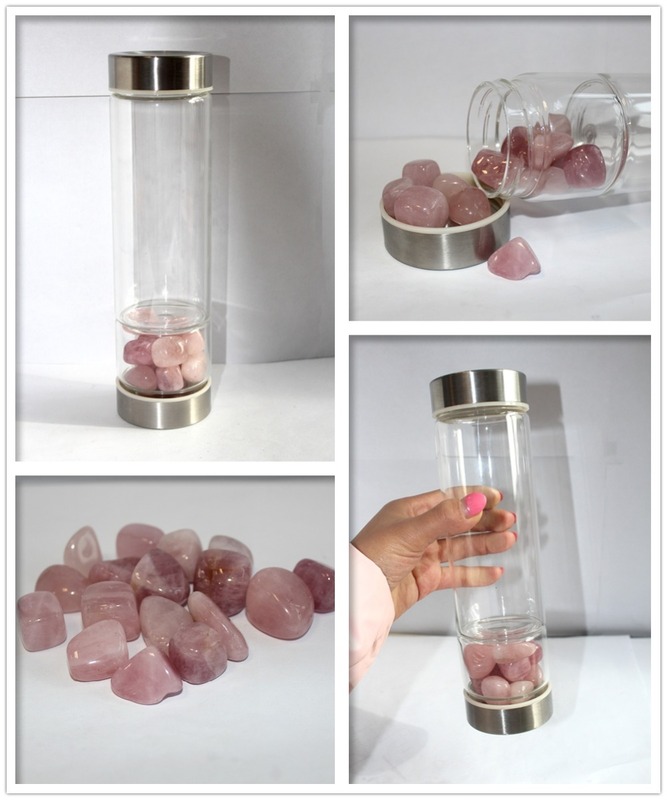 ENJOY THE BENEFITS OF CRYSTAL HEALING: Interior chamber is packed with all-natural quartz crystals. 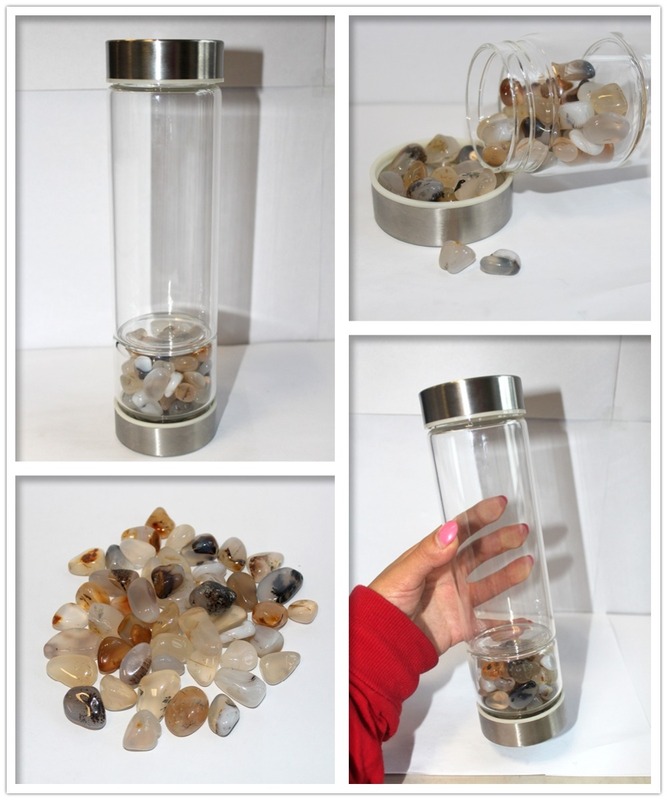 Quartz is used by experts to release emotional wounds and traumas, to balance emotions and bring peace and calm. 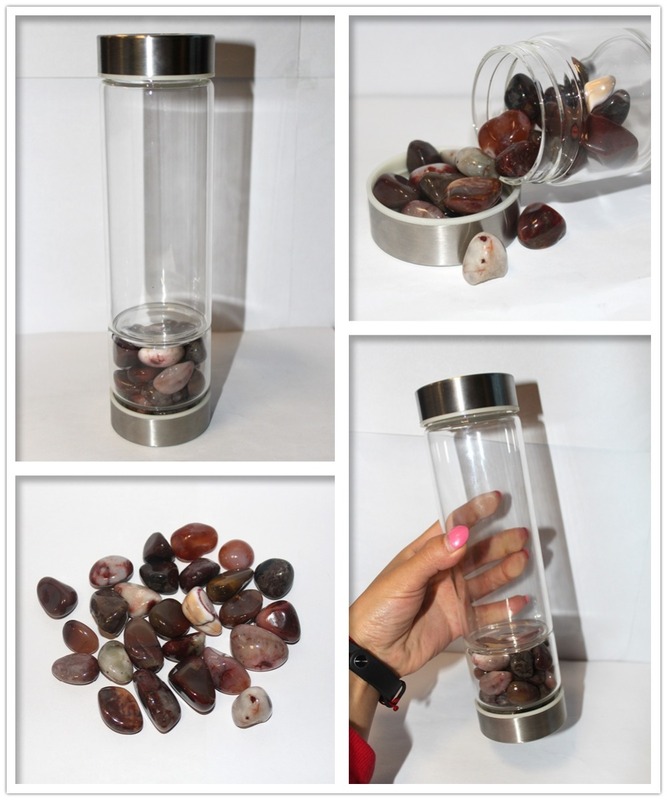 This balance is said to relief stress and ease anxiety. 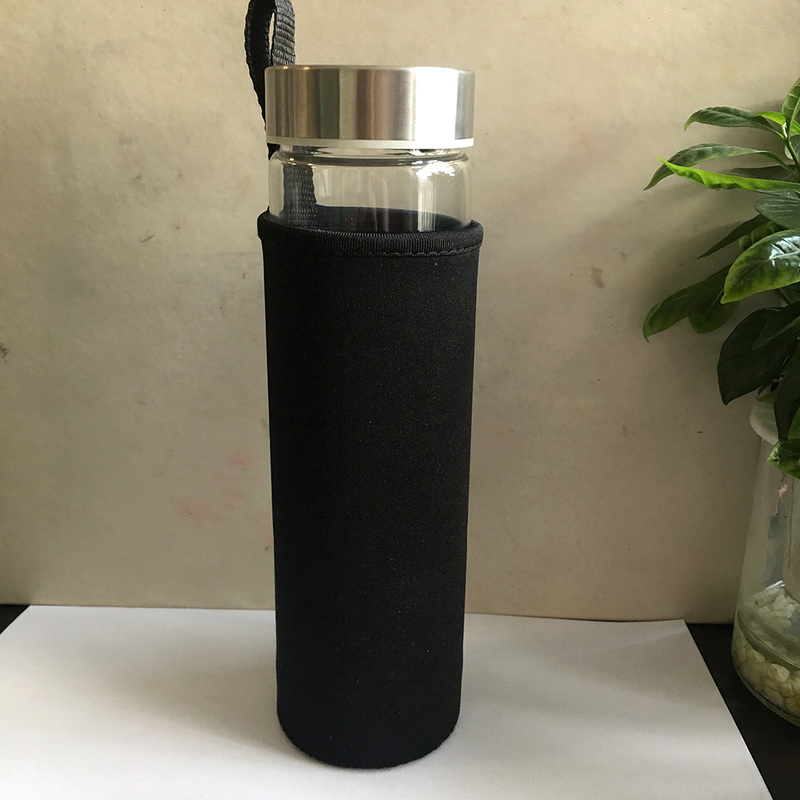 TAKE IT WHEREVER YOU GO: Durable, lead-free. 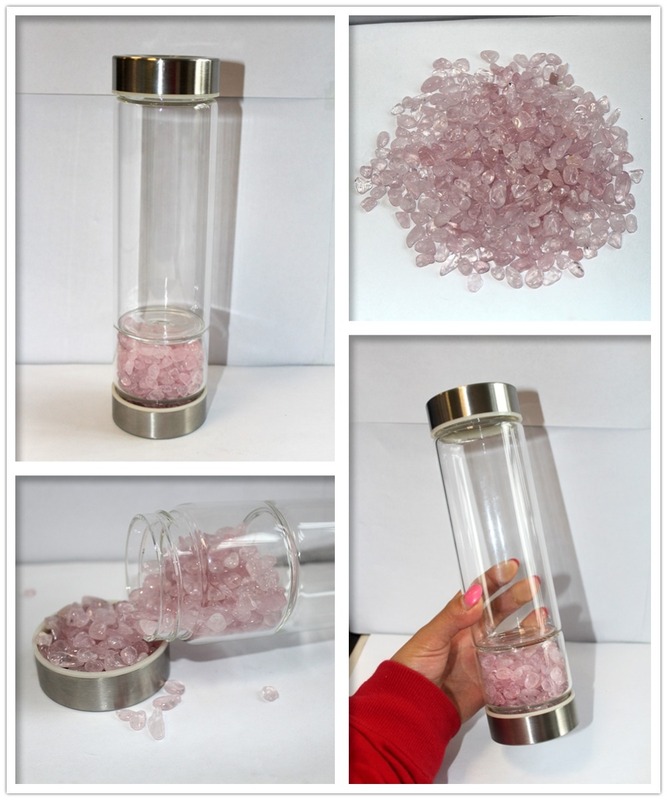 24cm in height holds approximately 450ml, glass drinking bottles Weighs about 560g. 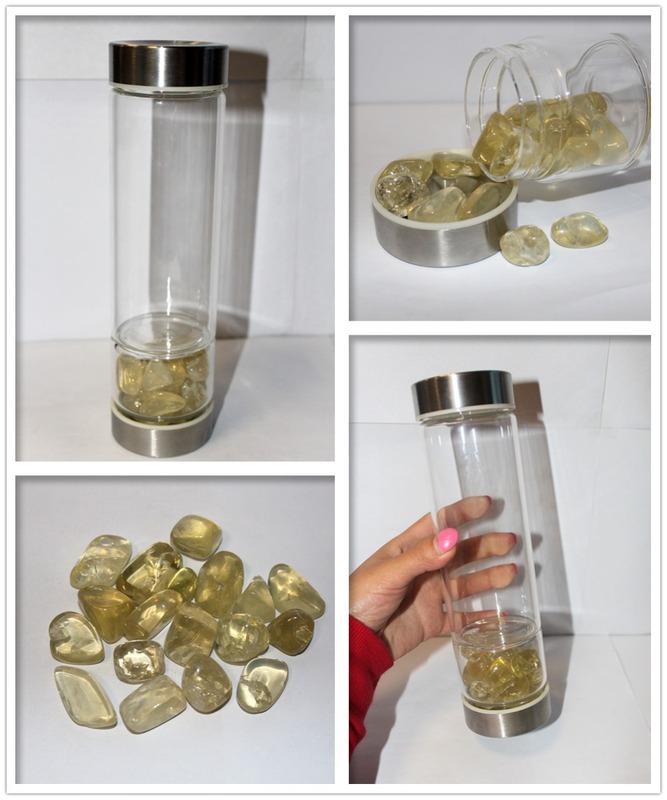 Removable crystal base for easy wash.